I love myself a great wrap dress. Flattering on every shape, the wrap dress is one of the workhorses of the wardrobe, flattering hourglass shapes, giving curves to the long and lanky, accentuating a great bosom, lengthening the vertically-challenged and adding a ton of femininity to your look. When I saw this sweet little number, it was love at first sight. 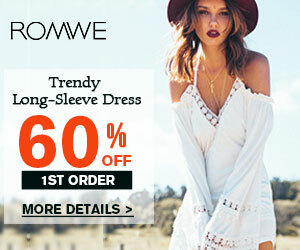 I love the long lines of this gorgeous wrap dress, with its fluttery sleeves and “high-low” silhouette. While I’m not a fan of “mullet” dresses, the subtle added length of this dress adds visual interest. While most people are reaching for light colours for spring, I’m a sucker for navy blue…a beautifully classic and highly underrated colour. I had put this dress on my wishlist and thrilled that it is finally mine! I have been wearing it pretty much on repeat. 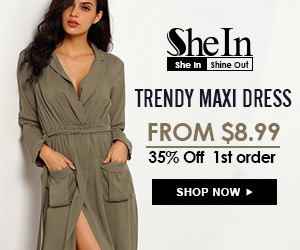 Check out the other great dress options on www.shein.com, especially as they’ve added a huge array of new styles for summer. Also, to facilitate your shopping addiction, SheIn will be providing free worldwide shipping from June 12th to 14th! So, go get your shop on! *A huge thank you to SheIn for sponsoring this post! Gorgeous and looks comfy too! This dress is so beautiful!! I can imagine it’ll come out of the wardrobe several times this summer! Most definitely! I’ve already worn it so much! That dress looks gorgeous on you!!!!!! Ooooooo, yes yes yes yes honey! Great blog I’m taking notes! How do you add the hashtags in your post? Hey Sauce! Thanks for your kind words! When you are drafting your post, there is a section for tags. Simply type in each keyword and hit enter after each one. This will make it easier for people to find your posts on google and other search engines! Good luck!